Get the Better of Allergy Season with a Honeywell Air Purifier! As you continue your advance into the months of summer, it's absolutely essential that you have access to a series of Air Purifiers that are more than capable of combating and dismissing the many allergens accompanying a seasonal shift. The Honeywell Store is your premier resource for acquiring elite Air Purifiers that continually set the standard for excellence when it comes to establishing a clean and healthy breathing environment for you and your family. Inherently flexible by design, Honeywell Air Purifiers can be implemented in a myriad of applicable settings. The amazingly popular and ultra efficient Honeywell True HEPA, Germ Fighting, Allergen Reducer Air Purifier with Long-Lasting HEPA Filter expertly proves this point by utilizing a specially designed carbon pre-filter that's capable of eliminating 99.97% of all common indoor allergens while simultaneously extending the filter's lifespan significantly. Capable of eliminating traces of dust, pollen, mold spores, tobacco and pet dander from your surroundings, this Air Purifier comes equipped with a Honeywell patented 360 degree air intake and discharge system that maximizes overall performance. Regardless of whether you're looking to install this unit in your home or place of work, this is an excellent addition that continues to be celebrated for its top notch performance, dependability and flexibility. 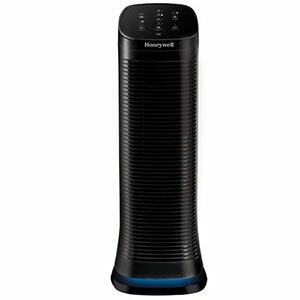 The Honeywell Store also carries a collection of sleek and portable Tower Air Purifiers that utilize a series of varying technologies to provide the absolute best breathing experience possible. 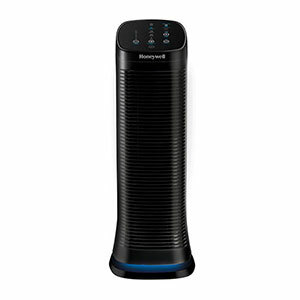 The Honeywell QuietClean Tower Air Purifier with Permanent Washable Filters features all of the strengths one would associate with an expertly crafted Air Purifier and effectively reduces the overall sound output dramatically. The outcome is an Energy Star certified product that's capable of circulating the surrounding air up to 5 times every hour. Overall value is increased tenfold with the inclusion of patented filters that are entirely washable and never need replacing! Representing the very best aspects of portability, strength and style, this is another natural addition that can be implemented in any number of practical scenarios. The very presence of a Honeywell Air Purifier can be instrumental in combating the many detrimental side effects associated in the shift from spring to summer. Regardless of whether it's a runny and stuffed nose or a series of coughs accompanying a sore throat, the Honeywell Store has everything you need to avoid allergy season and secure the ideal breathing environment! 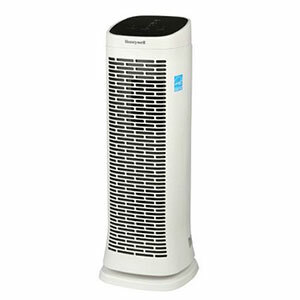 The Honeywell Store also carries an excellent assortment of Air Purifier Filters that solidify Honeywell's legacy of releasing superior products at a fraction of the competitor's price. Check Out ALL our Air Purifier Models and Pick the one that best suits you!